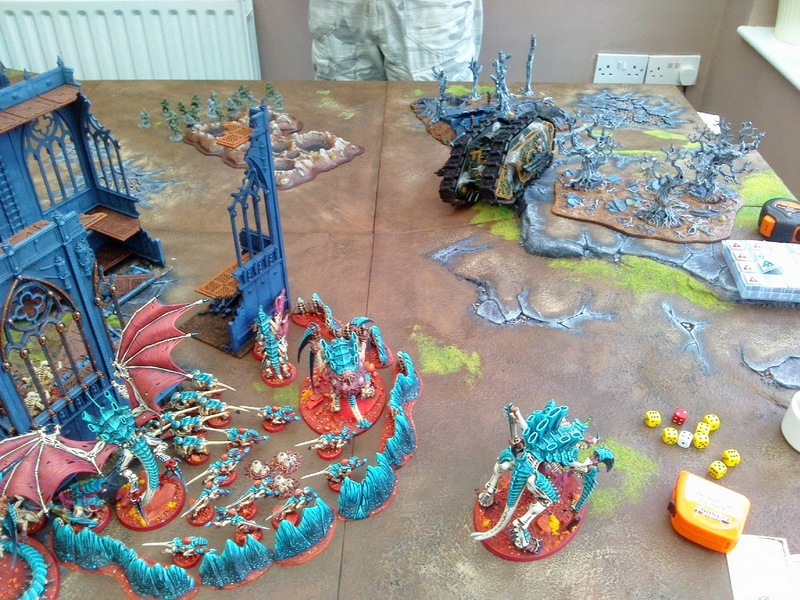 A good few months back Ben organised a mini Throne of Skulls-like tournament between himself, Liam, Otty and I with two tables on the go in his conservatory and with £5 each in the pot converted to GW vouchers - the winner taking away the 'hobby pot'. Obviously I intended to do a battle report but as the games went on and the temperature rose things got a little heated and time rapidly ran out. Funnily enough I've written this overview once already and somehow all the text got overwritten as I kept pushing back the schedule date to update my Bastion reports. 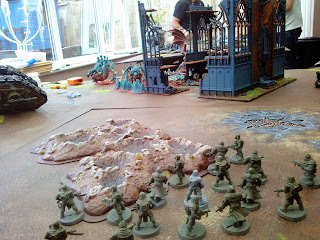 First up I played Liam, with his more Nurgle-centric Chaos marines. 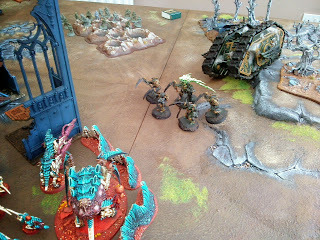 I had quite the amount of cover until I think Abaddon allowed that Land Raider to Infiltrate on my right hand side, luckily I'd arranged the coral for my Aegis. 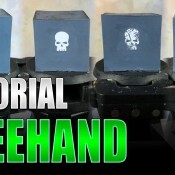 Obliterators struggled to draw a bead on anything thanks to my setup. Cultists have a better view, just not the range to do anything with it. 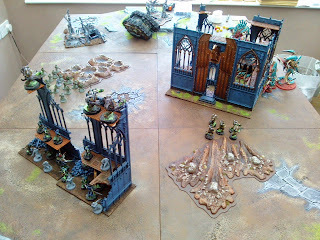 Typhus jumps out of the Land Raider, maybe premature but going bold so early on was at least going to speed things up. The Hive Tyrant took a couple of wounds. Everything barreled into the Terminators. 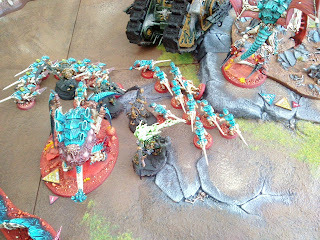 I think Typhus killed the Crushing Claws Tervigon with his Force Sword but may have eventually succumbed to the smaller vanilla Tervigon. Liam's Nurgle Heldrake. 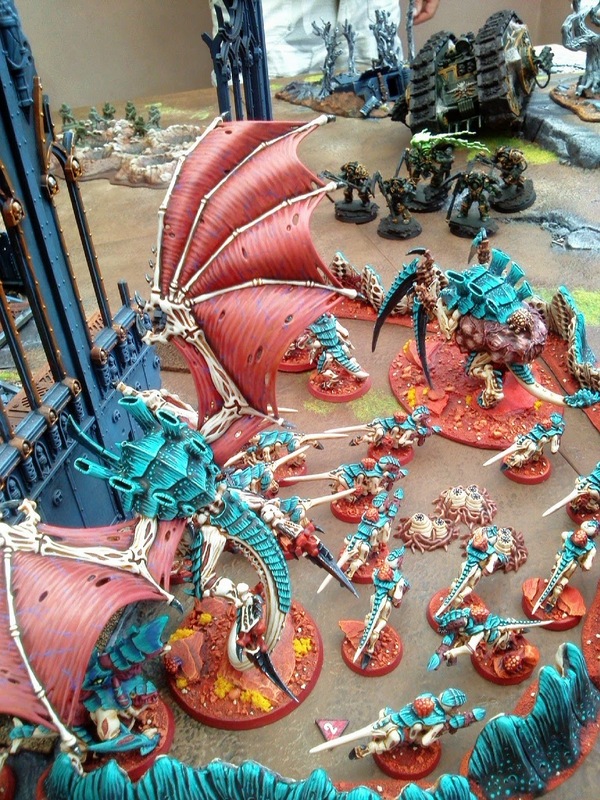 I was impressed with the wings, although the bright colours don't scream Nurgle - decay and rot. 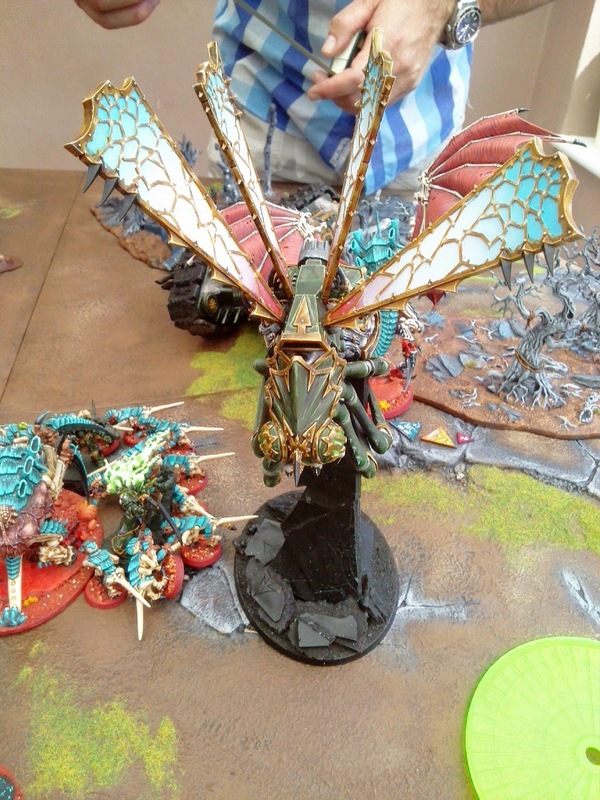 However, I did look over to the other table in a later game and I swear the graduation worked as a perfect optical illusion and tricked my mind into thinking I was actually looking through the wings! 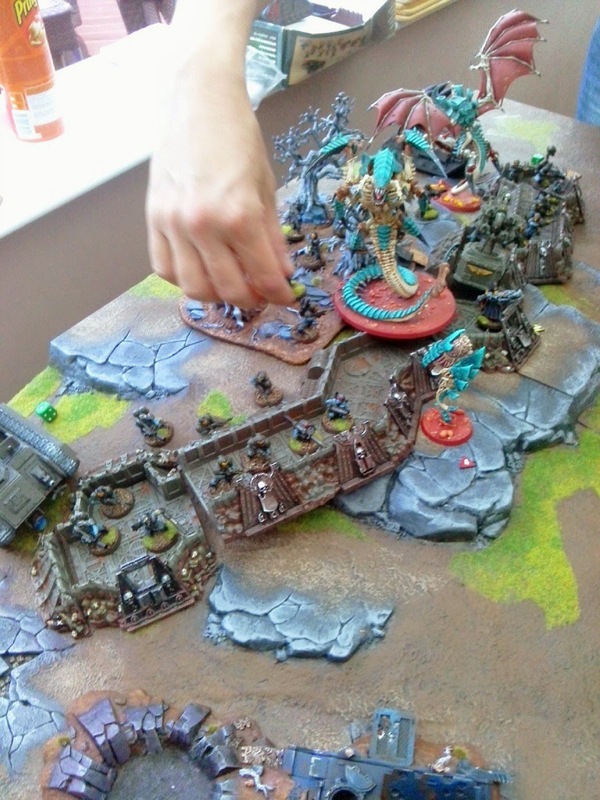 Next up was Otty and his Eldar, the new Codex was just a week old and was still new to him, which is why he ended up with his HQ lugging around 150pts of ALL the Eldar Special Weapons [somehow for free] instead of just the 1 weapon he was allowed to have. 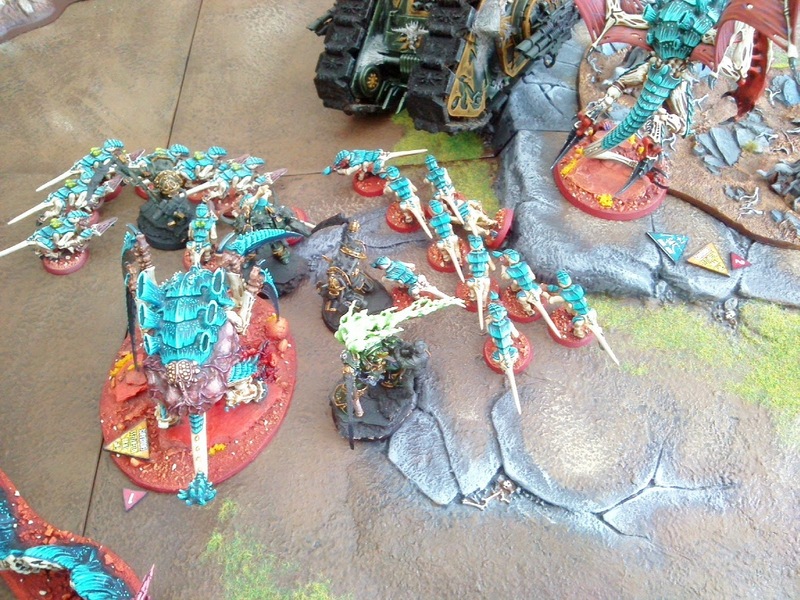 Additionally he had stuff in Transports that weren't allowed to take them but it's a new codex so cut him some slack. Anyway this is his Revant Titan masquerading as a Wraith Knight [and why not] about to breach my back line. 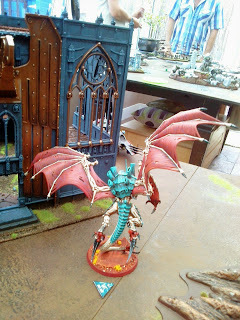 While my Flyrant does the same for his Deployment Zone. We went well over time on this we'd reached turn 3 and I was clearly winning but it was elected to continue on and Otty managed to swing it his way, although I think the Wraith Knight was eventually smashed by my Tervigon thanks to more Termagants tarpitting it long enough for the Crushing Claws to get in range. Enfeeble was awesome in cutting it down. 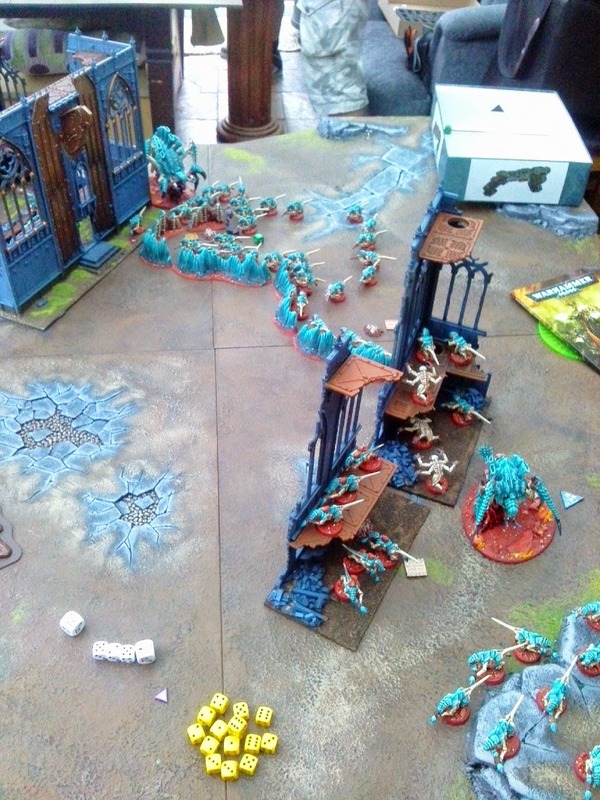 Last game was against Ben's Guard, due to the setting up times I never moved tables but I noted that Ben's Wall of Martyrs was extremely useful in allowing him to keep his troops set up and just move the wall from one table to the next. I had quite a nice little defensive screen to keep me safe. Eventually all hell broke lose in Ben's backfield! What with my on objectives I think I ended up sealing this one to end with two wins and a loss. Otty managed 3 wins and took the prize. While I was playing Liam, Ben took a few pictures of his match with Otty. 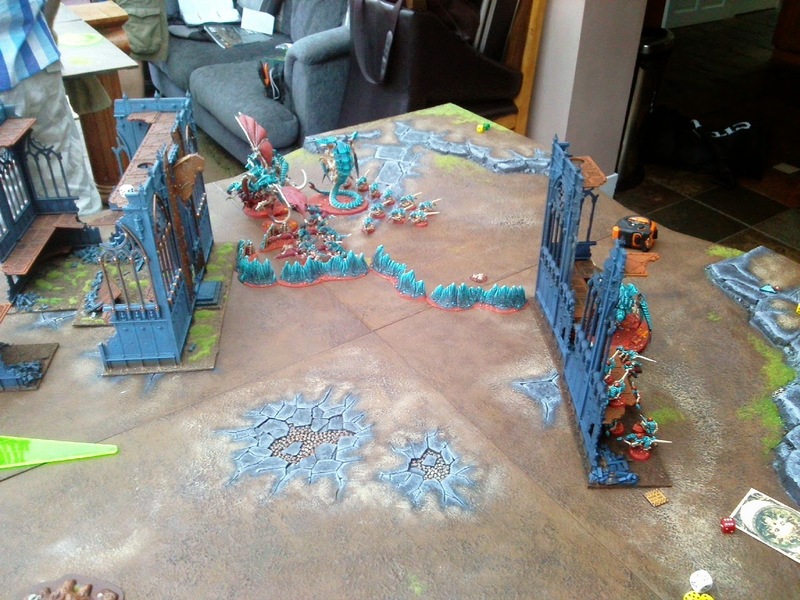 Otty's scratchbuilt Defence Line from disposable razors and curtain rail fixings! 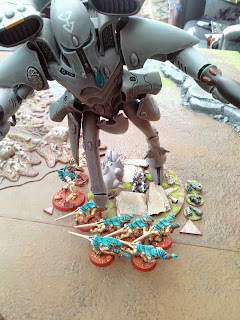 Otty had some amazing Eldar objectives made from medicine spoons. 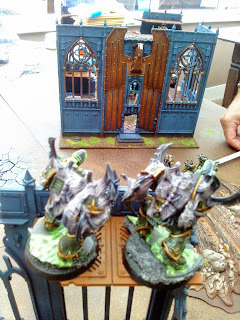 Wraithguard get to head through the trees, which I absolutely love, asked for specifically and never got to play on that table! 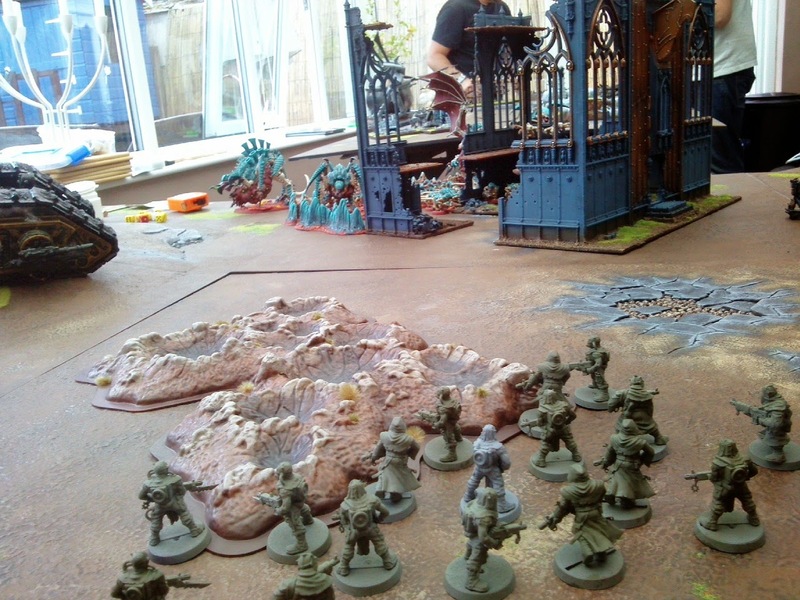 Marbo tries to steal the cache of Shuriken Pistols. I think he eventually succumbed to the Rangers. But the objective is still in Ben's hands. Another cache of Shuriken Weapons and the gun-line continues to pound the Guard. 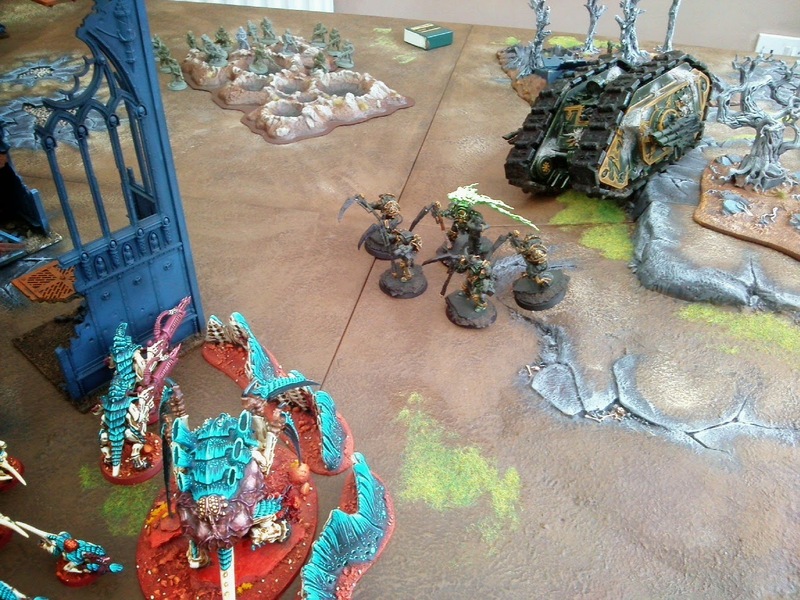 Wave Serpent tries to flank the Guard. 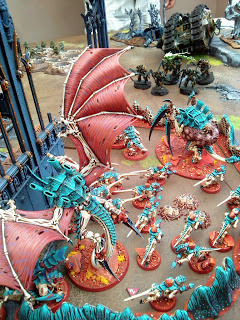 I think these were the Wave Serpents target. 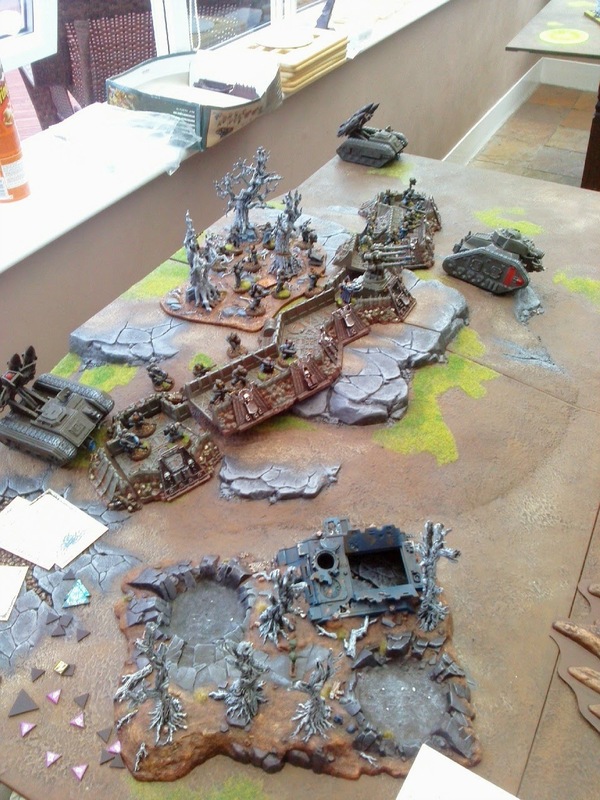 Gunlines trade shots across no-man's land. 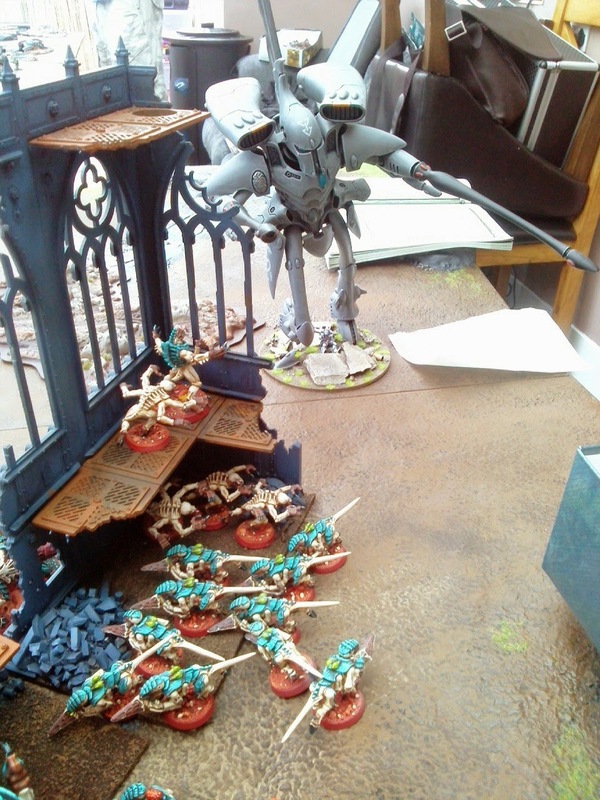 Wraithguard advance through the autumnal trees. 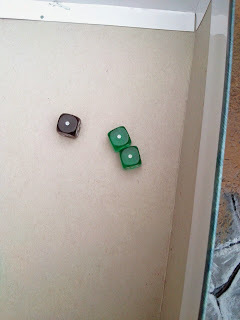 This was a really good days gaming, Ben was the consummate host but we must get better at time-keeping. The heat was certainly a factor, gaming was a little more fractious than usual with us having to stop and mediate for rules during games, maybe next time we need to crank out the beers sooner, although I did miss finishing off a fantastic cup of tea which was replaced by an equally awesome ice-cold shandy. See what I mean about a cool host, and lest us not forget about the massive bacon and egg barms [which I spilt on the battle board!]. 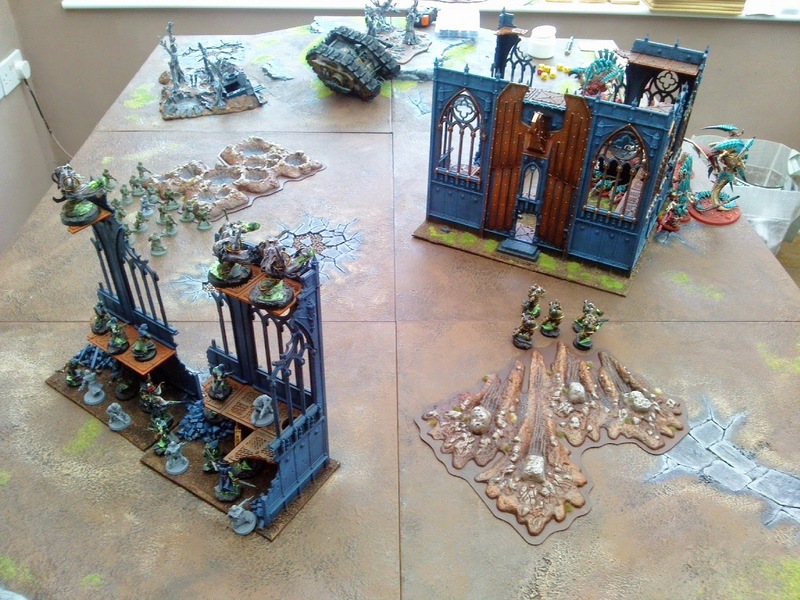 Anyway, an Apocalypse battle is planned for next get together, although my lowly 4,000pts won't stack up against these power gamers, ha, ha! Looks like fun. I can commiserate on the heat fouling tempers a little; our last gaming get together was rather warm and got a little fractious (perfect word btw)as well, but was a good time nonetheless. It took me by surprise but these guys are all good mates and have remained friends for such a long time I figured that they're used to how these things go down. In fact it's become a bit of a running joke when we get together, alongside the ever-expanding list of running jokes! I think we need to enlighten everyone about the running joke Dave :) Our buddy Liam who is well lets be honest the most fractious of all 4 of us (although I do have my moments, and a rant about the doom as I remember on the day was my moment of angst!) 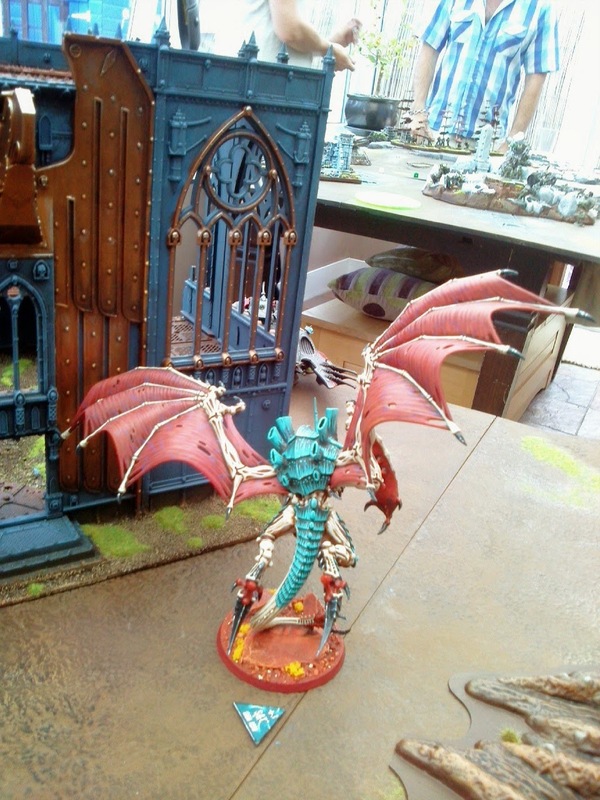 has his name engraved in bugmans bar as most friendly player at our last throne of skulls tournament. Its a Jackel and Hide thing I think on a good day he can charm the pants of anyone lol. Brilliant report again dave, thanks for being the coolest of us all on the day. I will endevour to set up fans to keep the temperatures down for our Apocalypse game Nids vs Imperium. 28th of September everyone so check daves blog for the battle report its going to be a great specticle at the very least Liam and Otty have loads of superheavies and gargatuous creatures for us to use so really looking forward to it. 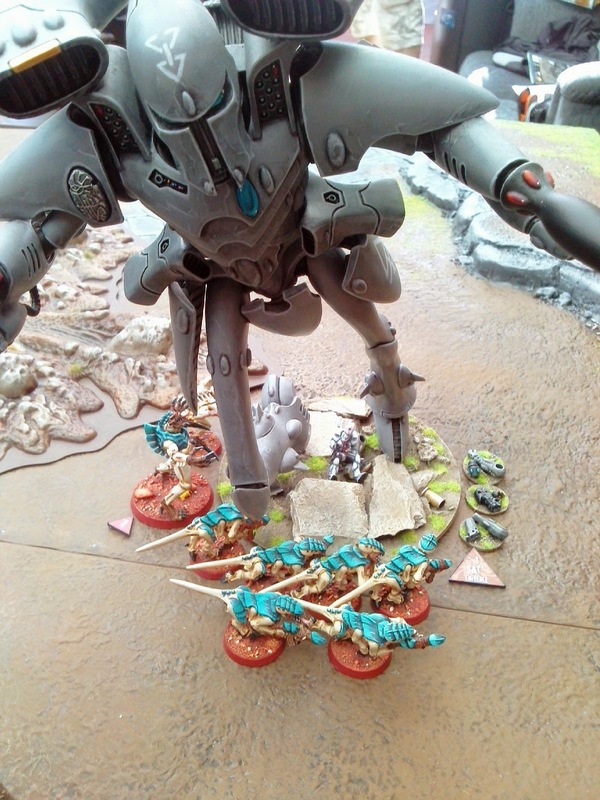 Don't worry about your 4000pts im sure otty can supplement your force Dave he has at least 10000pts of nids painted. Nice report, looked like a ton of fun. 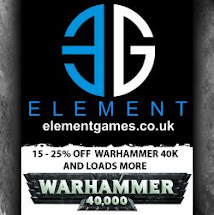 There some great looking armies there, yours included. The conscripts threw me off and when I saw grey titan I thought that the Eldar weren't painted at first. Boy, was I shocked when I clicked on one of the pictures, they looked awesome. 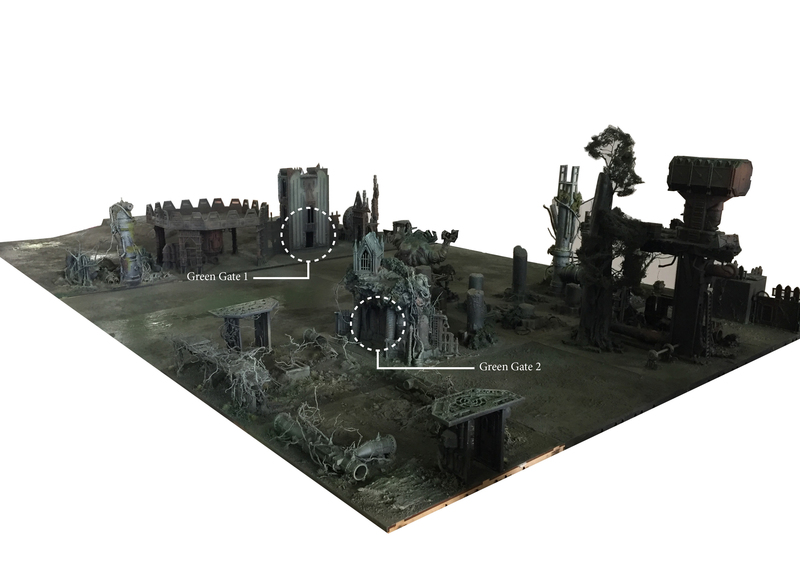 I have to ask about those Wall of Martyrs: Did they field them as some sort of fortifications, or was that simply terrain that was already on the board? 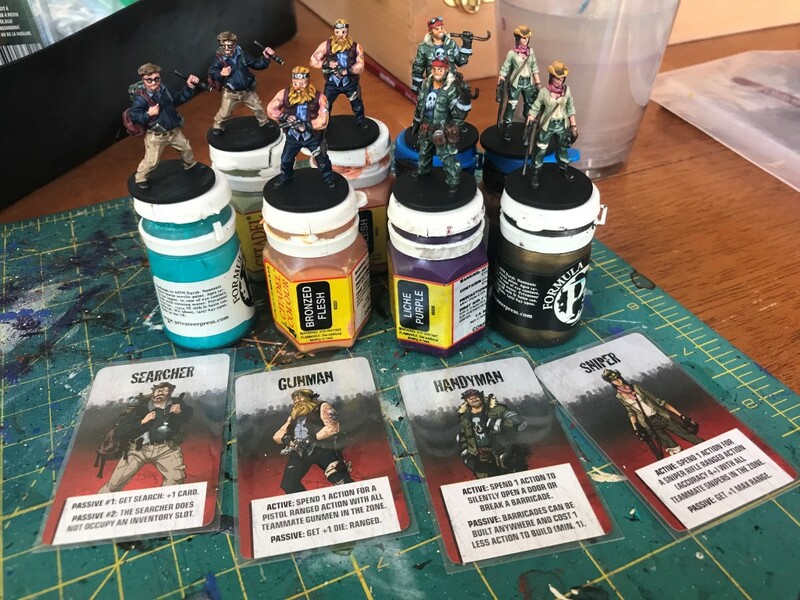 I've never been able to find rules/points values for them. Ben uses it as his Aegis Defence Line, it certainly looks more impressive. One thing I have to keep remembering is he only gets cover from the front facing, we ignore the back wall of the trench.